There is much to be said for the powder days of earlier in the season (and there often is). 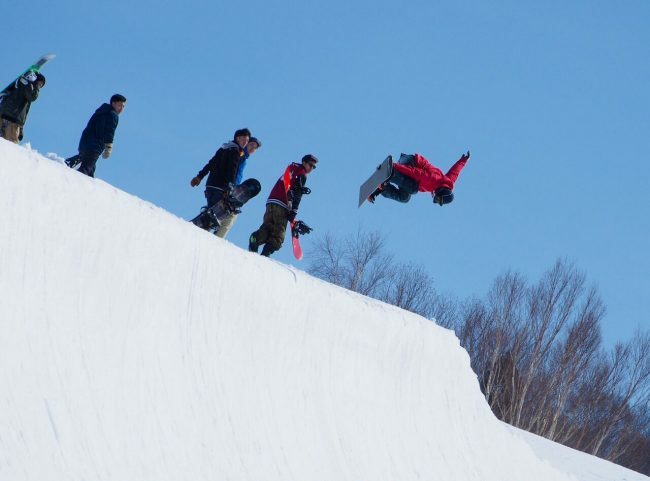 But spring skiing is certainly not without its awesomeness. 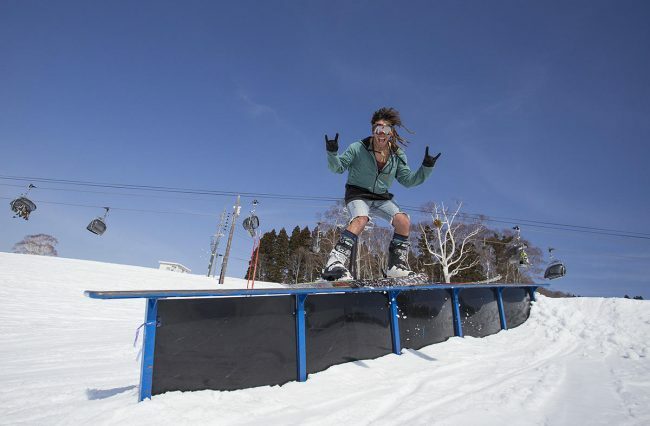 In fact, there’s at least a handful of reasons why some consider March/April an even better time to visit Nozawa. 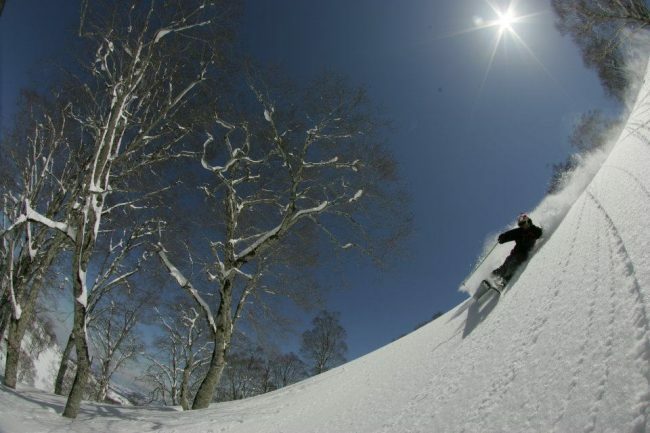 Imagine a day sliding down Mount Kenashi with no queues and often nobody to share a run with. Couple this with an all-around cheaper ski holiday and we’re starting to see why some favour late season skiing. Pretty amazing to be in Nozawa when you can see some cherry blossoms and still get a few turns in on the slopes. The Japan Meteorological Corporation released its cherry blossom forecast last month. The main point to come out of that is signs are pointing to an earlier season this year. 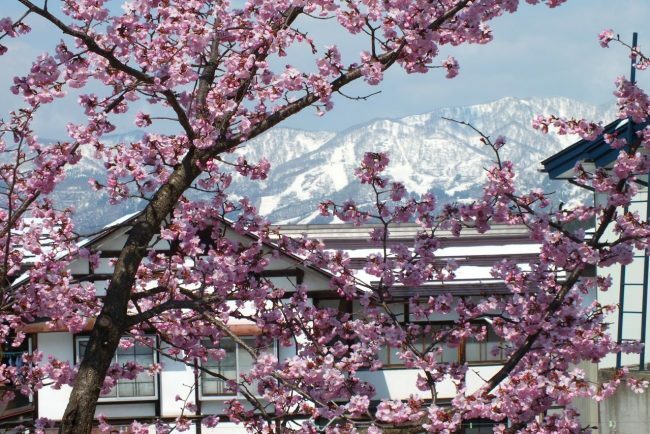 This means that if you get in early, you just might be able to couple the cherry blossom drawcard with a quick ski holiday at one of the country’s most famous-yet-traditional ski villages; Nozawa Onsen. 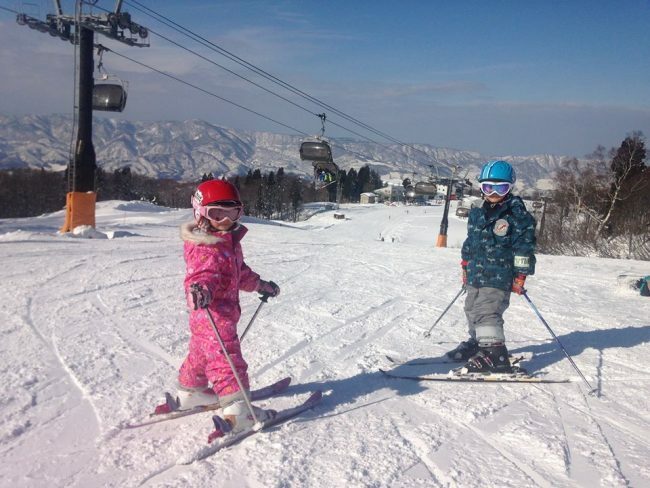 Spring is the perfect time for kids and families to ski in Japan with warmer weather and clear skies. No cold toes! Even without the cherry blossoms, Nozawa provides an attractive destination during late-March, April and the first week of May (Golden Week). Discounts on accommodation (starting mid-March) vary in percentage throughout the shoulder season, off-peak season and late season. So too do lift passes cheapen from April 1st onwards. It all adds up to a pocket-friendly ski holiday for families. The bonus is that small children won’t have to worry about too many other people on the slopes and can slide in safety if they’re still getting used to the mountain. Availability of lessons and restaurants during this time means that bigger family groups are well-catered for. 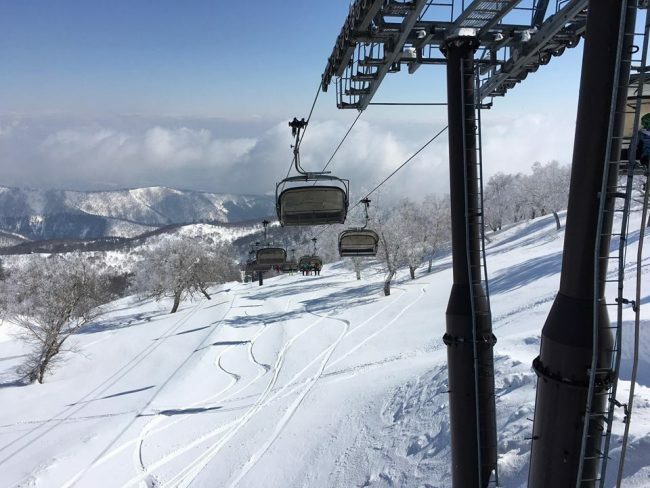 It’s definitely worth mentioning that the above discounts and advantages of spring skiing in Nozawa Onsen apply during the Easter School Holidays. We’ll even help give Easter Bunny directions to Nozawa! The onsens are still here too, obviously! As are what makes this traditional Japanse village the gem that it is; the locals. Day trips are also a bit easier late in the season. Within an hour or two from town are a host of awesome places for a short visit. Likewise, the Shinkansen route through Iiyama positions Nozawa perfectly for onward travel. 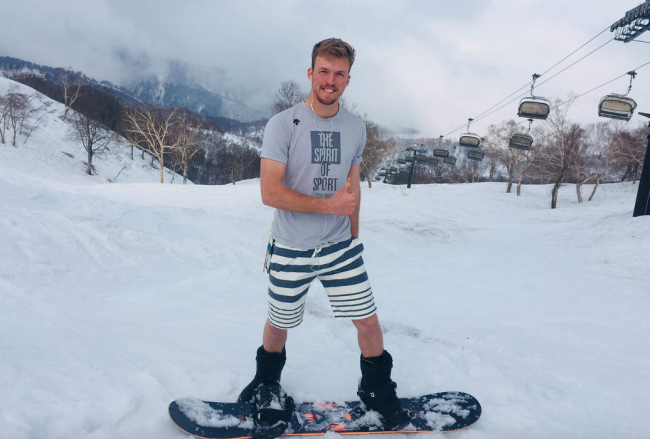 Suffice to say there are a number of reasons why Nozawa Onsen is home to some amazing spring skiing. Check out some of our accommodation options and/or feel free to get in touch with us at stay@nozawaholidays.com. Aerandir-san is definitely feeling the Nozawa spring. April 2018. It’s not unheard of to get fresh snow during April. How to Onsen from Leslie Marsh on Vimeo.